NOTE: The sale code was for January, 2017, but you should still try PlankRVA! 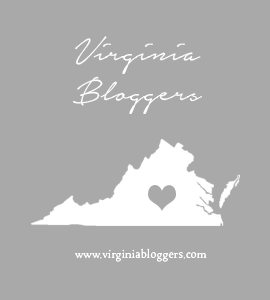 A few weeks ago I was invited to join Virginia Bloggers for a free class at PlankRVA. With my love for fashion, eating and drinking, I gotta do something to try to stay semi in shape so I was totally in! This muscle pose was obviously before we found out how hard the PlankRVA workout is! PlankRVA is a Megaformer studio that provides high energy, low intensity whole body workouts. If you aren’t familiar, a Megaformer looks kind of like a pilates reformer and uses springs for resistance in the same way, but the base is bigger with slits you can almost use like handles, allowing for different types of motions. I did not look nearly as graceful as Megan Wilson of Sweet Sauce. In general, expect a PlankRVA class to be faster paced and more upbeat than your typical pilates class with quicker transitions between motions. In other words, it’s hard! You’ll do toning moves for various parts of the body in short, intense bursts, then move on quickly. It’s certainly intense. But, with the speedy transitions and multitude of movements, the class sure passes by fast. Also, as the name notes, you do begin and end each class with a plank series, but the class includes many other types of movements. Are you intrigued? If so, I have a special deal for you. PlankRVA has allowed me to offer my followers 30% off an 8 Class Pass through the end of January (the discounted pass is available for purchase through the end of the month; once activated, the class pass is good for a month). Regular price is $144, so with discount the pass $100.80. If you are interested, email the studio at plank@plankrva.com and mention that you saw the special on my blog to get started. Single classes usually cost $29 each, but first-time students can also purchase a class for $20 or there is a 30-minute Plank a2 class focusing on arms and abs for $15 that might be another good way to give the classes a try. Good luck!